Jacksonville was once called "Cowford" because of an area along St. John's River where farmers would ship cows using ferry boats! Jacksonville was renamed after General Andrew Jackson, who was the provisionary governor of Florida at that time. The first voting events for Jacksonville took place in 1832, when the city's first mayor was inaugurated. Jacksonville Beach became a major sea port along with Atlantic Beach! During the Civil War, Jacksonville was occupied by the Union Army at least four times, but residents recovered quickly and rebuilt the city! After the mid-1800s, Jacksonville saw an enormous growth in tourism although the city only had a population of about 8,000! It was during this time that lumber and shipping industries began to boom, and the area also saw growth in beach and luxury resorts and hotels. Jacksonville is home to pro football athlete Jack Youngblood, pro golfer David Duval, actress Ashley Greene, Bob Hayes ("Bullet Bob") and a number of other well known people! For more information visit: Jacksonville Visitors Center where you can explore Jacksonville Beaches and resorts, Jacksonville Museums, Jacksonville outdoor activities, Jacksonville Arts and Culture, Jacksonville dining, hotels, historic tours, Jacksonville Jaguars, Jacksonville Giants and more sightseeing information. Jacksonville, Florida offers the best of both worlds. It is not only a business center for finance and insurance in the state of Florida, but is also a major sea port, U.S. Navy base location, and a popular tourist area. Local residents enjoy a newly-renovated downtown area, great beaches, beautiful parks, and modern sea port facilities. Jacksonville, FL is located in Duval County as the county seat and is situated on the St. Johns River. Its population was estimated at 773,781 as of 2003. The city was named after Andrew Jackson. During the Civil War, Jacksonville, FL was a base for blockade runners. It became a popular winter resort during a period of reconstruction. During the late 1960s, the city and county governments merged to form a single municipality. Just recently, the downtown area has undergone drastic renovations. Some well-known people who have lived in Jacksonville, Florida include Pat Boone (singer), Stephen Crane (writer), Paul Laurence Dunbar (poet), and Gary “U.S.” Bonds (singer). The bands Lynyrd Skynyrd, Limp Bizkit, and Molly Hatchet were also out of Jacksonville, Florida. Local sports teams in Jacksonville, Florida include the Jaguars for the NFL, the Suns for minor league baseball, and the Barracudas for the Southern Professional Hockey League. Local higher learning institutions are the University of Florida and Jacksonville University. Jacksonville, Florida is home to many museums for those who enjoy learning about history and interesting facts. Tourists can visit the Museum of Science and History, the Cummer Museum of Art & Gardens, the Fort Caroline National Memorial, or the Museum of Southern History. For art lovers, there’s the Museum of Contemporary Art Jacksonville. Each year Jacksonville, Florida hosts the Greater Jacksonville Agriculture Fair to celebrate its heritage and culture. There are fun things to do for the entire family with entertainment, food, and activities. Other local fairs and festivals include the Pilot Club of Jacksonville Antique Show, the Southern Classic Gun & Knife Show, the Jacksonville River Run, and the Jacksonville Horticultural Trade Show. While in Jacksonville, families will want to be sure and visit the Tailbot Islands State Park. The park offers picnicking, camping, kayaking, fishing, hiking, horseback riding, and more. It is also situated on gorgeous beaches for a great view while enjoying the outdoors. Adventure Landing is another family-oriented site where kids can enjoy laser tag, miniature golf, go-karts, an arcade, and even a water park (during mild-weathered months only). Fort Caroline National Memorial is another place that will fascinate the kids. A nature trail and visitor’s center are available. For a day or night on the town, shoppers and those seeking a delightful place to eat will find plenty to do at Jacksonville Landing. There are abundant shops, many restaurants, live entertainment, and beautiful views of the city and river. Other places of interest in Jacksonville, Florida and nearby areas include Ripley’s Believe It or Not, St. Augustine Lighthouse and Museum (St. Augustine, Florida), and the San Cruz Casino. Those wanting to learn more about Jacksonville, Florida USA may visit the Jacksonville City Tourist website. 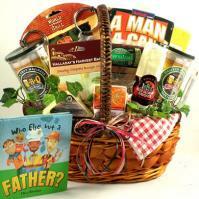 Adorable Gift Baskets delivers gourmet food, fruit baskets, flowers, balloons, unique gifts and gift baskets to Jacksonville, Florida for holidays and all gift-giving occasions. We deliver gift baskets to all cities and towns within the entire state of Florida including Miami, Orlando, Fort Lauderdale, St. Petersburg, Tampa and others.